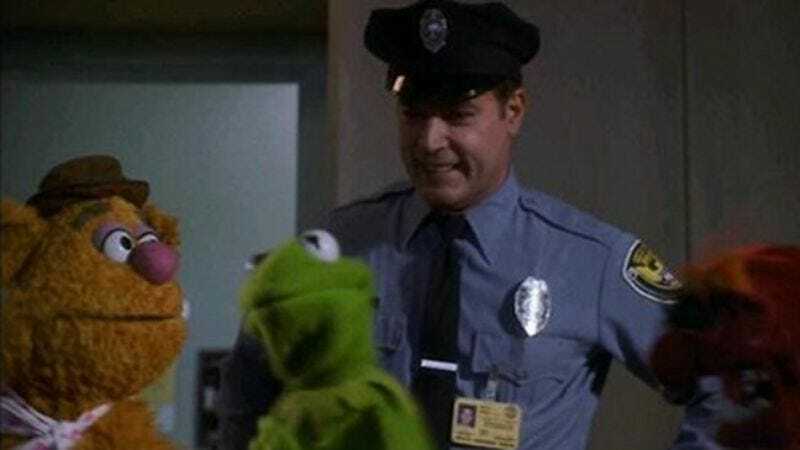 Gangster Muppet Ray Liotta has reportedly joined the cast of Disney’s upcoming sequel to The Muppets, reuniting him with the puppet clan he hasn’t seen since that time he played a security guard in 1999’s Muppets In Space and kids were like, "Yay, it's the guy from Cop Land!" Details on Liotta’s character this time are being strangely kept under wraps—“strangely,” we say, given that we’re already well aware that Ty Burrell plays “a lazy Interpol agent” and Tina Fey plays “a Russian gulag prison guard,” which are both very specific. But likely it’s being withheld so that everyone can just go on making Goodfellas/Muppets jokes without facts getting in the way. When I heard all the noise, I knew they were cops. Only cops talk that way. If they were wiseguys, I would have heard, “Wocka Wocka Wocka”… etc.